Once a juggernaut in the cell phone industry, Nokia has been obscured by some other industries in the area and its products has languished in the market in the recent years. 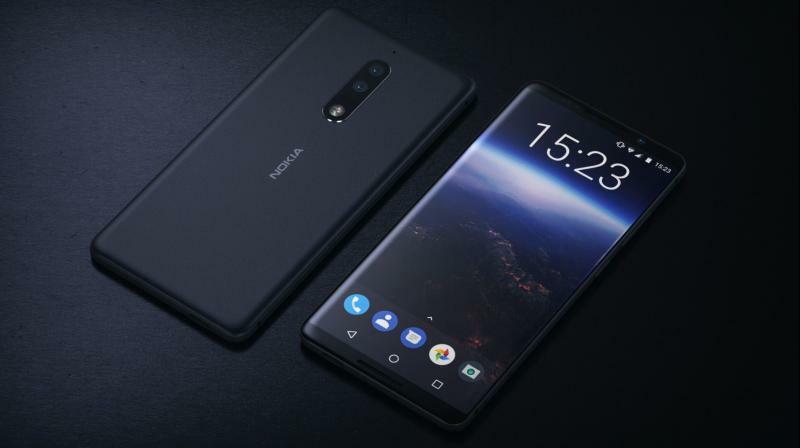 But those facts have not stopped the manufacturer and recently, the company has announced the launch of two new smartphones: the Nokia 7 and the Nokia 9, whose market introduction are dated by mid-2018 for the Nokia 9. However, the specifications and features that both cell phones will provide are already known thanks to information provided by the company and some websites dedicated to the smartphones topics, and the fact that the Nokia 7 has reached the stores at the end of 2017. These two products share some common characteristics, but the differences are marked between them. Starting with the processor, the Nokia 7 has a Tru-Octa Core processor (a 2.2 GHz Octa Core Cortex A53 and a 1.4GHz Quad Core, Cortex A53) and the Nokia 9 has a Quad Core Kyro 280 at 2.45 GHz and another one of the same type at 1.9 GHz that turns it into an Octa core device. The screen also differs with 5.2 inches for the Nokia 7 and a larger one at 5.5 inches for the 9 model. The IPS LCD was selected for the Nokia 7 while the Nokia 9 went with the AMOLED with a Full HD resolution for the first one with a density of 424dpi and a 1440 x 2560 pixels resolution for the second one at a density of 534 dpi. Both screen have capacitive touch screen with multi touch feature and are protected by Corning Gorilla Glass v3 for the Nokia 7 and v5 for the 9 model. Generally, both devices are in the dual Sim area and they operate under the Android OS using the 7.1.1 (Nougat) for the 7 model and the 8.0 (Oreo) for the Nokia 9. They perfectly work with the 4G band, but they can operate on the 2G and 3G bands as well. Both models come with a 64GB internal memory capacity expandable to 128GB with 6GB of RAM. Both phones are provided with two cameras, being the main one for the Nokia 9 a Dual 13MP feature and a 16MP for the 7 model; both cameras have almost the same features such as autofocus and dual-LED dual-toe flash among others. The front cameras are at the 5MP range – a Dual one for the Nokia 9 – with autofocus, HDR, touch focus and face detection. Videos can be recorded at 2160p at 30fps for both devices. Batteries for both are non-removable with a Li-Ion 3250 mAh one for Nokia 9 and a Li-Ion 3000 mAh for the 7 model and both of them feature the fast charging mode. It is great and refreshing news that Nokia is back to the market with an offer the excited supporter would not hesitate to accept.